If you haven't been reading the blog lately, you've missed out on three of our wedding collection posts! 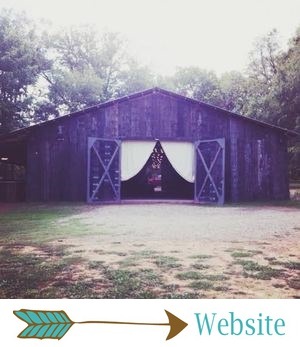 I've shared lots of info on our elopement package, and the Simply Sweet and Rustic Chic Collections. This week, we're gonna talk about the Pearl Snaps Collection! If you haven't heard about The Barn's collections, they are ALL all-inclusive. What exactly does that mean? We include every major detail, like flowers, food, cake, decor, planning, set-up and tear-down, and the list goes on and on. The further up you go in our collections, the more details are included. P.S. Because of everything that's included, you make think we'd be waaaay out of your budget. Read this post about how we compare to state and national average wedding costs... You'll be pleasantly surprised! The Pearl Snaps Collection includes everything from the collections below it: planning and coordination for both your ceremony and reception, choice of ceremony and reception sites, flowers (including bouquets for the bride and bridesmaids, boutonnieres and corsages, and arrangements for the ceremony and reception), a buffet dinner, gorgeous decor throughout your ceremony and reception sites, the cake, set-up and clean-up, a unity candle or sand ceremony, dinnerware, linens, and a whole bunch of other things that we can send you, if you get ahold of us! The add-ons and upgrades in the Pearl Snaps Collection include: invitation suite, specialty accent lighting, a guestbook, upgraded flowers and bouquet designs, a live duo to play ceremony music, an increased catering allowance and more buffet menu options, more flowers for your ceremony, dance floor draping, and so much more. The guest count for this collection is 90 people. Most brides choose this collection because of our gorgeous invitation suites, delicious menu upgrades, and the beautiful draping over the dance floor! Each of our collections is customizable. If you'd like to add more to any of our collections, we're more than happy to work with you! It's not uncommon for our brides to pick a certain collection and then upgrade a few things within that collection, like flowers or food. Creating your dream wedding is what we aim to do, whatever that entails! I probably sound like a broken record, but if you're considering booking your wedding with us, get ahold of us! Run, don't walk. ;) 2016 is pretty full, and we're also booking into 2017. We sure don't want you to miss out on your date! Email us at barnattwinoaksranch AT yahoo DOT com, send us a Facebook message, or get ahold of me via the contact page.